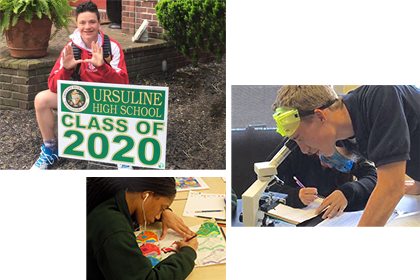 As alumni, current or past parent, you may share our pride in Ursuline High School’s success. You play an important role in our tradition of excellence. 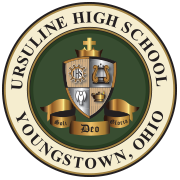 Your support (in time, talent and treasure) is vitally important as it enables Ursuline High School to provide a Catholic education to its students. We kindly ask you to support Ursuline to the fullest extent of your ability. YES! I will support Ursuline High School. Fill out the following fields. Add the item to your Irish Cottage shopping cart. From there, you will be able to keep shopping or go to check-out. Please indicate how you would like to designate your gift. Check this box if you plan to or have applied for a matching fund from your/your spouse's company. Check this box if you would like your donation to be made anonymously. Complete the following fields if your donation will be in memory of or in honor of someone else. Would you like us to send a letter to your tribute or his/her family? Check the box below, and fill out the resulting fields.